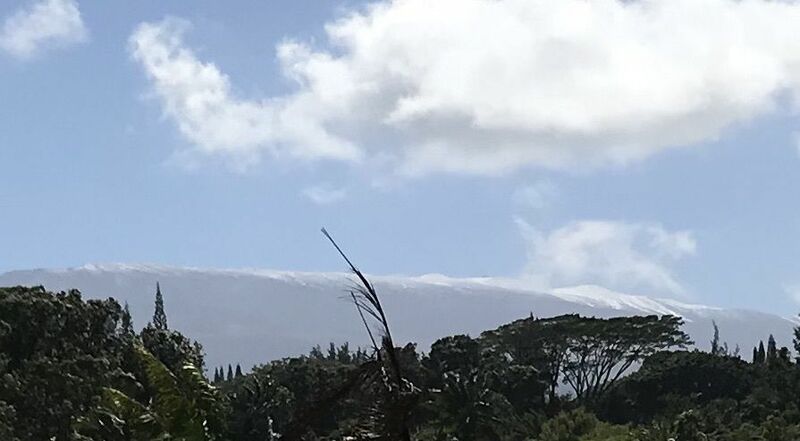 The clouds have parted and revealed snow covering the summit of Haleakala. I have never seen so much up there. I’d consider driving up, but it is probably blowing a gale up there and also a traffic jam to see such a rare event.